True or False: Valentine’s Day is the most popular day of the year to pop the question. The answer is “False.” Christmas Day is the most popular day for proposals, followed by Valentine’s Day. An estimated 40% of engagements occur between November and February,* which means at any given point during the year, Cupid is striking his bow and couples are getting engaged. The classics never go out of style, which is why they are called classics! 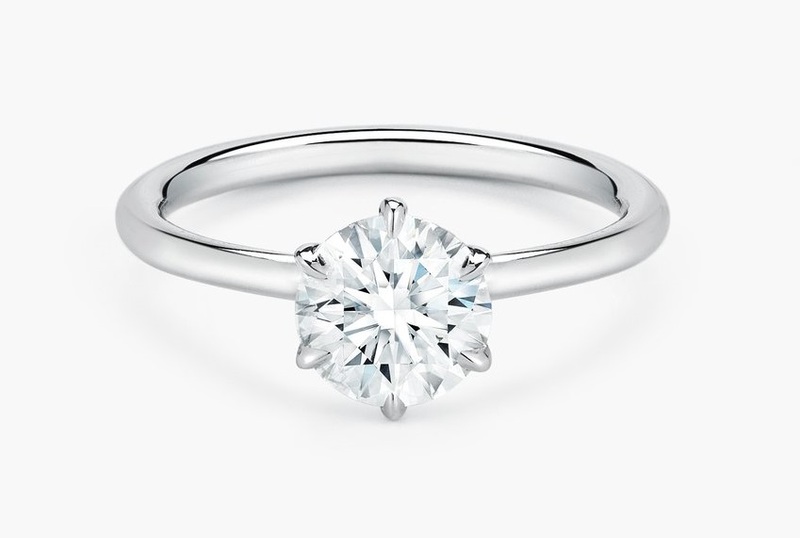 The sparkling diamond solitaire has experienced a variety of style changes throughout the centuries, but the single diamond in a six-prong setting remains a beloved symbol of engagement. Jade Trau Six Prong Solitaire. 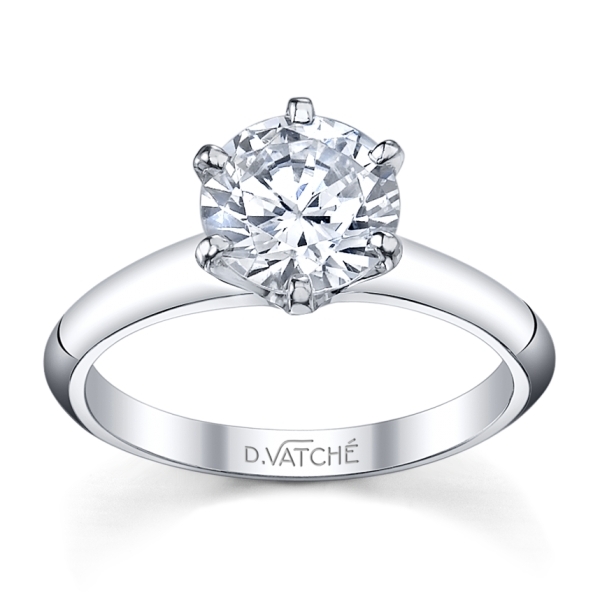 Classic Six Prong from Designs by Vatché. An oval cut can give a vintage look to any style and has been gaining popularity because of its elegant, elongated shape. 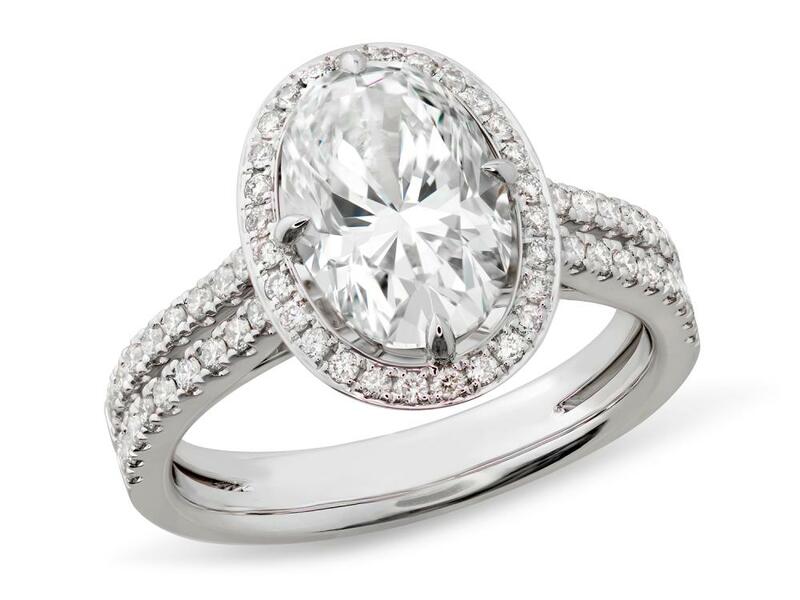 Oval diamond engagement ring with oval halo by Memoire. 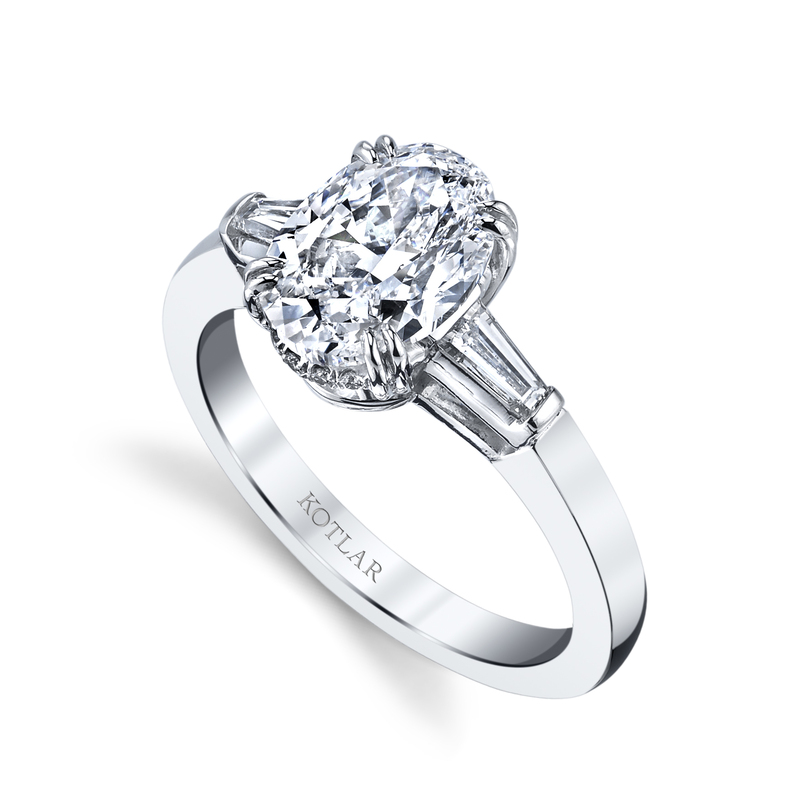 Oval cut diamond with two tapered baguettes by Harry Kotlar. 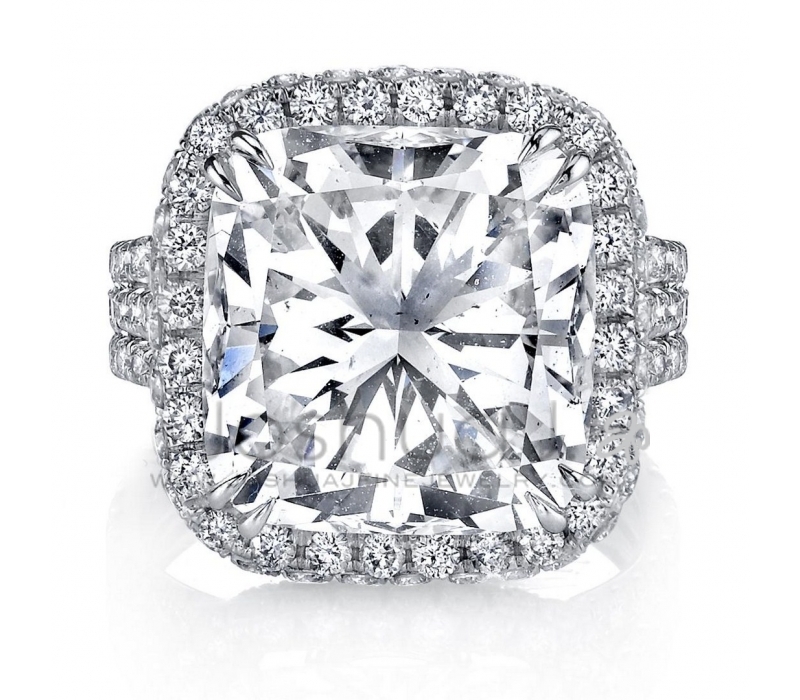 The cushion cut is a square or rectangular shape with curved corners. Adding a diamond halo gives the illusion of a much larger diamond! 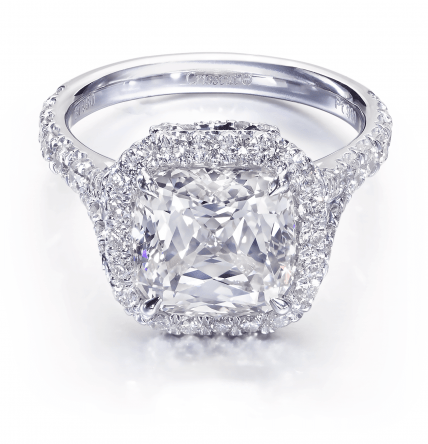 Cushion Crisscut® diamond engagement ring by Christopher Designs. Cushion cut diamond with triple shank by Joshua J. Fine Jewelry. 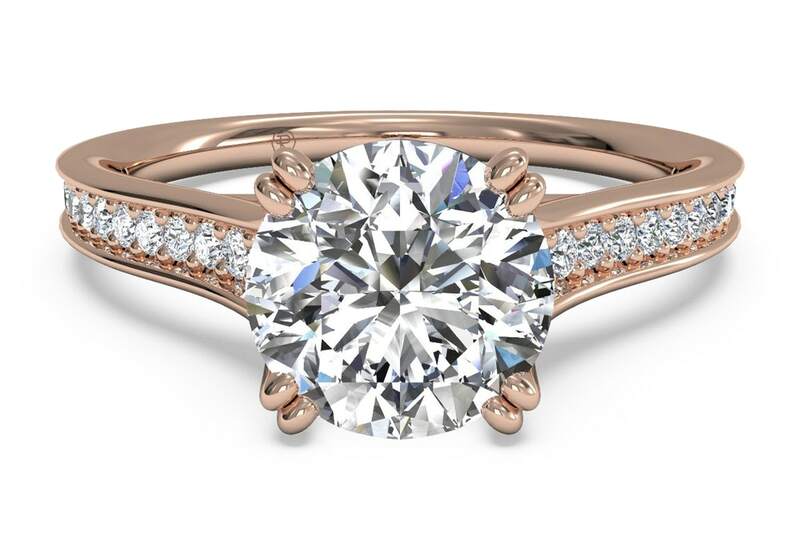 The soft, warm glow of rose gold could give any diamond engagement ring that extra touch of romance. 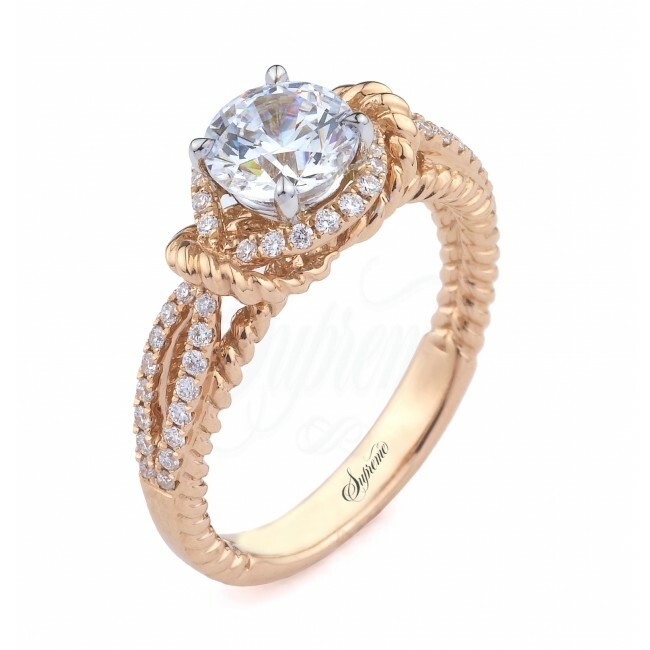 Micopavé diamond band engagement ring set in rose gold, by Ritani. Leave it to the British monarchy to lead the way in trend-setting engagement rings. The heavily publicized engagement of American actress Meghan Markle to Prince Harry has had the world admiring her three-stone diamond engagement ring. 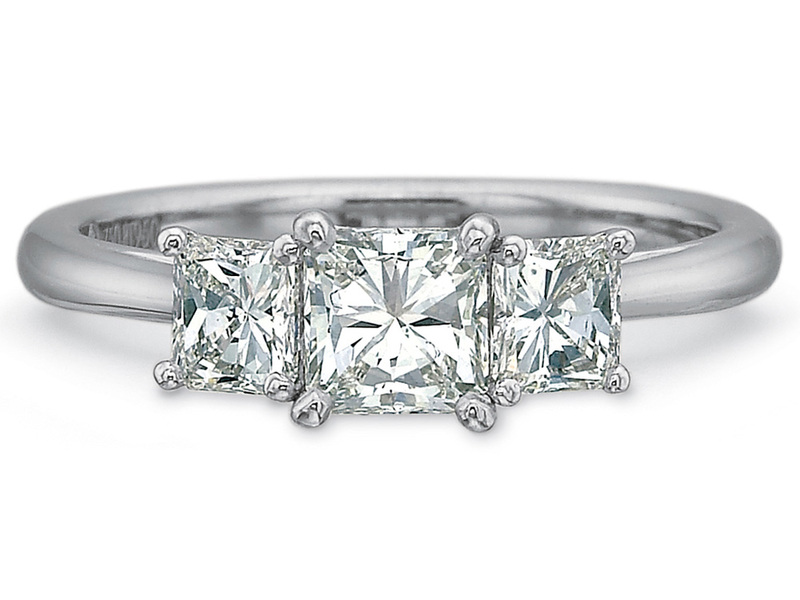 New Aire three stone radiant diamond engagement ring by Precision Set. 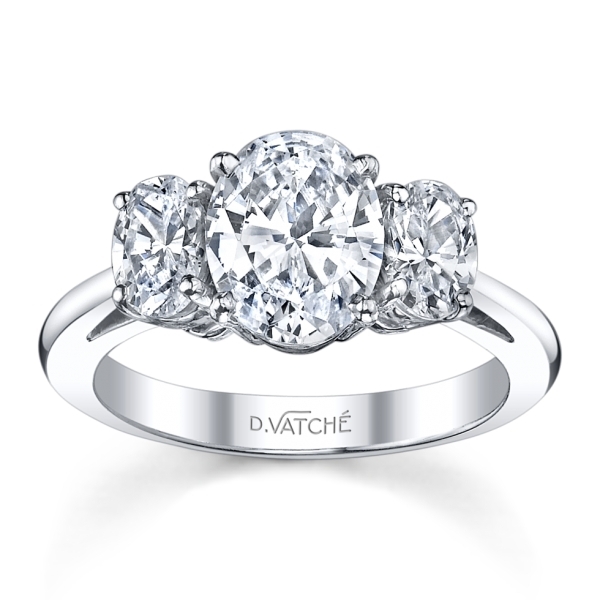 Classic three oval cut diamond engagement ring from Designs by Vatché. Do you have a favorite style or an idea of your own design? Visit an AGS-credentialed jeweler near you. When you purchase diamond jewelry, always ask for an AGS Laboratories Diamond Grading Report. You’ll have peace of mind knowing that your diamond was graded by a nonprofit diamond grading laboratory with a mission of consumer protection. Accept no substitutions and buy your diamond with confidence!